specific abilities needed on the test * Targeted drills increase comprehension and help organize study * Color icons and graphics highlight important concepts and tasks Practice for real * Create the closest experience to test-day conditions with two full-length practice tests * Chart your progress with detailed explanations of each answer * Boost confidence with test-taking strategies and focused drills Ideal for Classroom, Family, or Solo Test Preparation! REA has helped generations of students study smart and excel on the important tests. 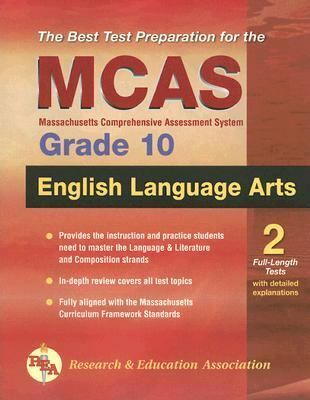 REA's study guides for state-required exams are teacher-recommended and written by experts who have mastered the test.